A central premise underlying Canadian collective bargaining law is that employees should have the right to select both (1) whether to join a union and opt for collective over individual bargaining and (2) which union they want to represent them. The second choice is limited in the “Wagner-style” model we use in Canada and the USA by the “majoritism” and “exclusivity” principles: to obtain the right to represent any employee, a union must establish that it represents a majority of employees in an appropriate bargaining unit. If a union represents a majority of employees, then the law bestows on that union a right to be the exclusive representative of all of the employees in the bargaining unit. Majority rules. Our labour laws regulate when a union can apply to represent employees in order to avoid continuous applications for certification by unions. If the employees are already represented by a union, and there is a collective agreement in effect, then another union cannot apply to displace the existing union (sometimes called a “union raid”) except during certain specified times near the end of the collective agreement, known as the “open period”. All of this is explained in Chapters 39 (The Unionization Process) and 46 (The Regulation of Unions: Legal Status, Duty of Fair Representation, and Decertification) of The Law of Work: Complete Edition. Therefore, an existing collective agreement can prevent an application by a union to represent workers. Sometimes, employers attempt to use this rule to avoid unionization attempts by real, independent unions by encouraging or facilitating “voluntary recognition” with a fake, non-independent (employer dominated), or more employer-friendly union. This is what happened in a recent decision from Alberta called Brenda Stratford Foundation. On January 19, a union certification vote was conducted but the ballots were sealed because the employer argued that the employees were already represented by other unions. The Alberta Union of Provincial Employees (AUPE) applied to represent all non-managerial employees of a long-care facility that operated out of two buildings. The employer responded by arguing that the application was “untimely” because the employees were already covered by existing collective agreements. The parties to those alleged agreements were the employer and two “Employees’ Associations”. The employer alleged that it had “voluntarily recognized” the associations and entered into collective agreements with them. The facts disclosed that the “presidents” of the two employee associations held poorly attended meetings with employees and ask them about their concerns. The presidents would then meet with the employer and explain the concerns. The employer would then tell the presidents what it was prepared to give the employers and the presidents took those information back to the employees in another poorly attended meeting and sometimes the presidents would also speak to employees on the work floor. Agreements were then signed. The agreements were considered confidential and employees were not permitted to see them (!). AUPE argued that the associations were not real unions, and that they did not represent a majority of the employees in the bargaining units and, therefore, that the agreements could not act as a bar to an application for certification by a real independent union. Employees can provide representational authority through the Code’s certification process. If, instead, voluntary recognition is claimed (as it is here), authority to represent employees remains equally important and it must be shown through some other means. In this case, there was no evidence that a majority of employees in the bargaining units supported the associations. In Alberta (unlike in Ontario and Manitoba), the law does not require a collective agreement be ratified by a majority of employees to be effective. A ratification vote on the supposed collective agreements was not taken here and so there was no vote based evidence of the level of employee support for the associations or the agreements. Moreover, the peculiar practice of keeping the agreement confidential suggests that associations were not in fact representing the employees in bargaining at all. Therefore, the associations are not “unions” and the agreements they entered into were not collective agreements. In the result, the associations and their agreements with the employer could not act as a bar to the application for certification by the AUPE. The Board ordered that the ballots be counted. Voluntary recognition is permitted in most jurisdictions in Canada. This process permits an employer and union to bypass the usual union certification process that requires a union to prove to the government that it represents a majority of employees. However, a voluntarily recognized union must still have the support of a majority of employees. 1. How can a voluntary recognized union prove that it had majority employee support at the time of the agreement? 2. Do you think governments should continue to permit voluntary recognition, or should all unions be required to be “certified” in order to represent employees in Canada? The union can demonstrate majority support at the time of the agreement with signed membership applications. Sometimes a voluntary recognition agreement simply speeds up the inevitable. I recall organizing 2 locations of an employer (6 people in total) (these were groups of contract cleaners working in schools of the Peel and North York boards of education). The employer challenged the union on the appropriateness of the bargaining unit (we had proposed school by school certifications). 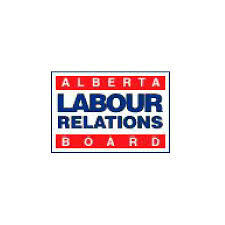 After the Labour Board certified the union on the basis of the union’s proposed bargaining unit, the union began receiving a flood of membership cards and put in an application for a 3rd location, then a fourth, then a fifth…The employer approached the union to discuss voluntary recognition. That happened and we agreed to a company wide bargaining unit of over 300 employees! Btw, I organized a meeting to discuss the voluntary recognition with the workers and to provide them with an opportunity to sign a membership card. We were never challenged. However, about 3 years later, these boards of education decided to contract the work back in. This was bad for the union but good for the workers because they were now under a better collective agreement. There were some workers who were laid off and we were able to obtain (we had to fight this) enhanced notice/severance. Had they been on their own, I doubt this would have happened. Long answer to the question – there are situations where a voluntary recognition can be appropriate. Voluntary recognition and union certification are two very different things and should not be confused. I have no difficulty with employer voluntary recognition of a certified union but firmly believe that employee associations are not unions and should not be treated as such. Even in situations where voluntary recognition is given there needs to be clear demonstration that there is a community of interest and that a majority of employees wish to be certified as a union.